The Johnny Bohmer Proving Grounds are where dreams and top speeds come true. Don’t believe me? 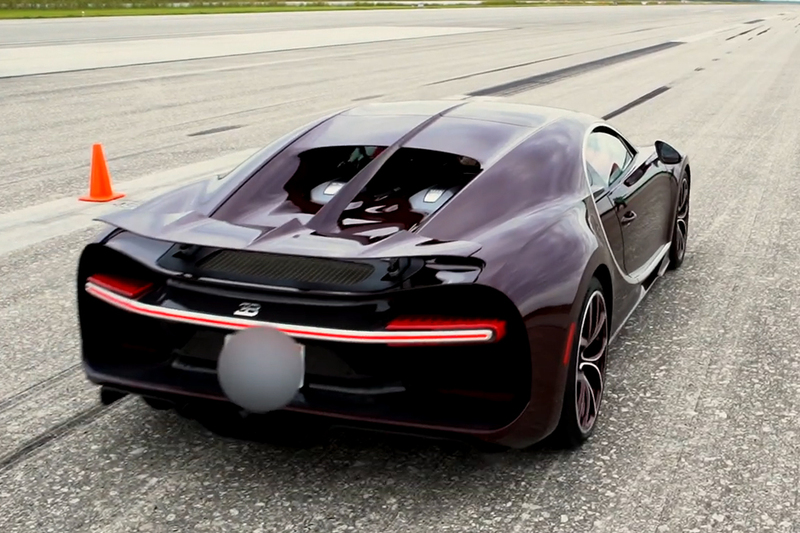 They just released a new video of the Bugatti Chiron hitting a top speed of 261 mph in a matter of 2.7 miles. That’s the electronically limited top speed that Bugatti has set for the car and was done so for safety reasons. The video below, however, makes the top speed run look effortless. And I’m serious when I say dreams come true here. The Proving Grounds is home to the longest strip of road for testing cars in the United States. That’s because the stretch of road they use is actually the Space Florida’s Shuttle Landing Facility runway, which measures in at 3.2 miles. What’s more, it’s also 300 feet wide, or 25 freeway lanes wide. Having visited some aerodynamic testing sessions at the Proving Grounds, like the one the Chiron took part it, I can tell you that the experience is massive in general.